Smooth, creamy, and just the right size in a perfectly portioned bowl, the new Swiss Yogurt bowls from Emmi Roth USA have been gracing “Mom’s” kitchen this week! 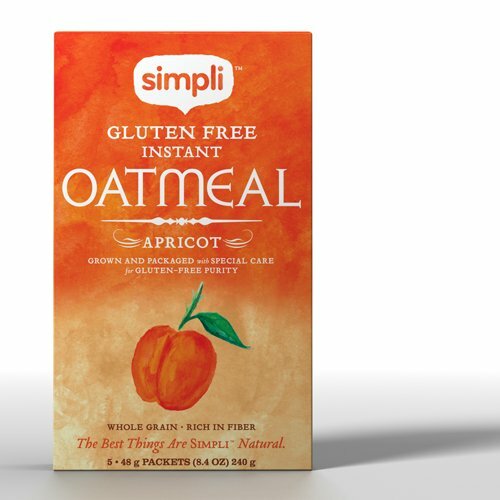 With decidedly kid-friendly flavors, such as Green Apple, Vanilla Bean, Strawberry and Raspberry, as well as a few for more mature taste buds, including Coffee and Pink Grapefruit, there are 11 delicious options in all. Made from rbST-free milk and other all-natural ingredients, each yogurt boasts 9 grams of protein per serving, making it an excellent lunchbox choice as the kids head back-to-school. “Mom” found the Black Cherry and Vanilla Bean flavors to be her favorite in the Emmi Roth line, and loved that the yogurt comes packaged in a small “bowl” that can be topped with homemade granola or fruit. The containers can be recycled, as well. 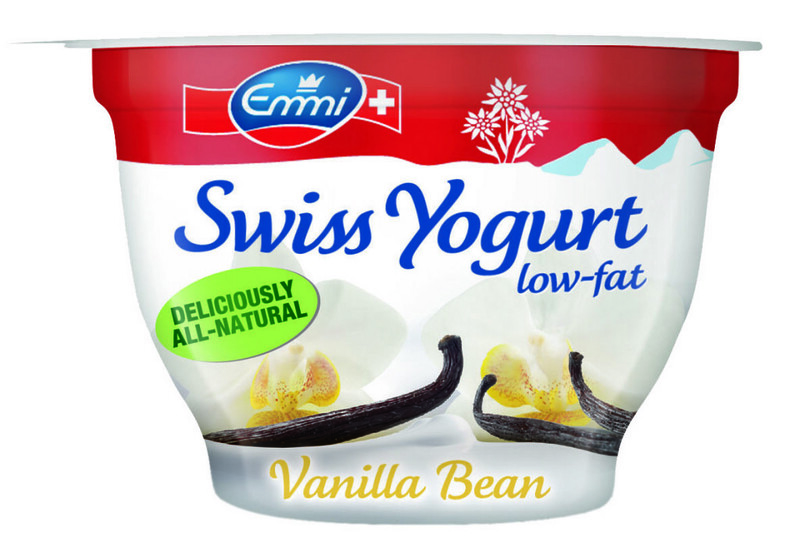 Emmi Roth Swiss Yogurt can be found at natural food retailers nationwide, such as Fresh Market. To locate a store near you, please visit EmmiRothUSA.com. Hair loss is an issue that affects millions of Americans each year, and women aren’t immune to it. On average, you will lose 100 hairs from your scalp a day. Considering the average woman has more than 100,000 hairs, that doesn’t seem like such a big deal, and usually the hair is swiftly replaced by new growth through the same follicle. As with men, most women lose some hair as a natural part of the aging process. But women also experience premature thinning or hair loss. And the reasons for it are vast. Some women lose hair in the couple months following delivering a baby, and can see the hair loss continue for up to six months. Severe stress or a significant illness or operation can also lead to hair loss, as can crash dieting when your body doesn’t get enough protein. Genetic predisposition is another factor, as are changes in hormone levels. And while there isn’t a cure, there are treatments and preventative measures you can take. The goal is not to lean on chemicals that can cause as many problems as they fix, but to find safe and natural ways to prevent and reduce hair loss. Most of the time, nutrient deficiencies are to blame. If you don’t get enough of the vitamins C, B6, folic acid, A and B12, or are deficient in copper, folic acid, biotin, zinc or iron, you could experience hair loss. Too much vitamin A can actually cause the same thing. So your first step should be making sure you’re getting the proper amount of vitamins each day. Start with a high-potency multivitamin and multimineral, and take them daily. Supplement that with 25,000 units of beta-carotene, 100 milligrams of B-complex, 400 units of vitamin E (and 100 micrograms of selenium to help it absorb into your bloodstream), 2,000 milligrams of Vitamin C, 50 milligrams of Zinc, 50 milligrams of Iron, 2 milligrams of copper, 500 milligrams of silica, and 6 grams of amino acids. Check the labels to know how you should spread these out through the day, and whether you should take it with meals or not. If you’ve suffered some sort of physical trauma, intense mestruation or a crash diet and are losing hair as a result, stick with the multivitamin and iron, but add in 50 milligrams of iron and 1,000 milligrams of vitamin C to absorb it all. If you’ve followed either vitamin plan for a while and aren’t seeing any results, you might not be absorbing the supplements well. You can turn that around by taking digestive enzymes to help increase your stomach acids. Herbs can also be a huge help, and they’ll usually be applied directly to the scalp. Aloe can be very useful, as can arnica in cream or ointment form, jojoba oil, kalaya oil, licorice as a tincture in your shampoo, rosemary oil mixed with almond oil, sage or safflower. Check with an herbalist to make sure you are mixing everything correctly, and to determine what combination will be the most effective for your particular issues. All of these options are natural, and completely safe. You won’t have any side effects, and don’t need to worry about physical issues that crop up with a hair transplant or other, more aggressive medical treatment. Just make sure you stick with the program every day, and do whatever you must to reduce the stress levels in your life. Perfect for an afternoon snack, these yogurt parfaits will be a hit with the kiddos! Get them involved by having them assemble their own parfait – any fruit can be used, as well! 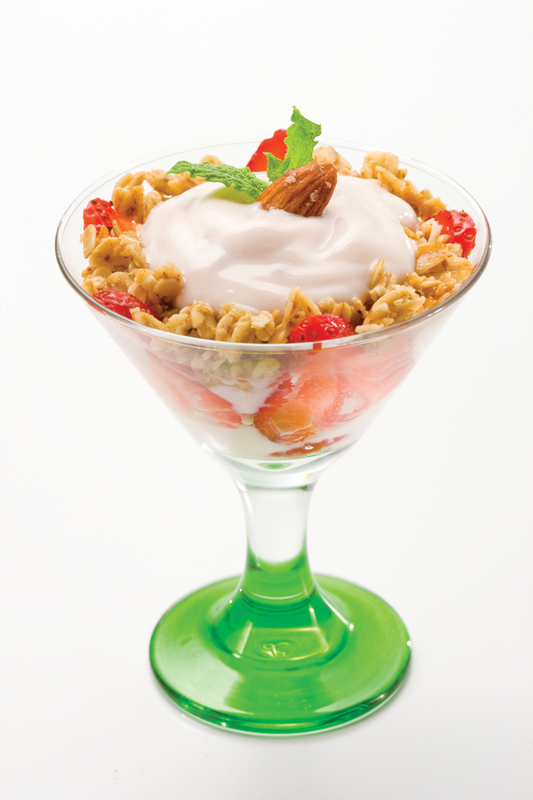 Layer granola, strawberries, and Emmi Swiss yogurt in 4 glass serving dishes. Garnish with almonds and mint sprig. Refrigerate until ready to serve. 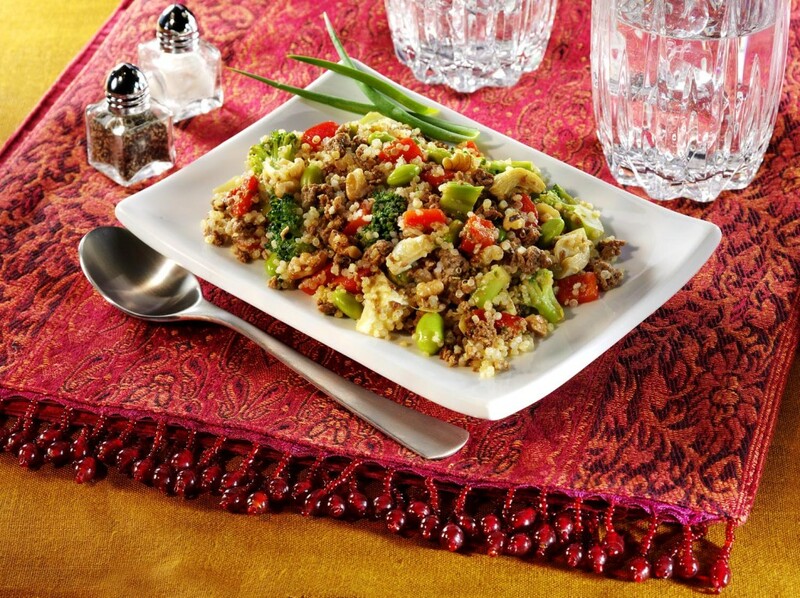 This satisfying medley of Quorn™ Grounds, colorful veggies & quinoa makes a delicious addition to any holiday gathering. 1) Combine 1 cup of the vegetable broth and quinoa in a 1-1/2 qt. saucepot. Bring to a boil over High heat. Reduce heat, cover & simmer 12-15 minutes or until all of the liquid has been absorbed. 2) Meanwhile, heat olive oil in large skillet over Medium-High heat. Add scallions, Grounds, soy sauce & remaining 2 tablespoons vegetable broth. Cook, while stirring, 3-4 minutes or until Grounds are heated through and liquid has evaporated. 3) Stir in broccoli, artichokes, edamame & red pepper. Continue to cook & stir 3-4 more minutes or until heated through; stir in hot, cooked quinoa. Season with salt and pepper. 4) Just before serving, sprinkle with walnuts. Serve with grated Parmesan cheese, if desired. * Save $$… Make your own roasted red peppers! To roast peppers, simply char them on all sides over an open flame of a BBQ grill or gas stove. Use a pair of kitchen tongs to safely keep turning the peppers to insure they get well “blackened” all over, then immediately place them into a paper bag. Close top bag tightly and let stand until the peppers come to room temperature. Remove peppers from bag and peel off the charred skin. What you will be left with is a deliciously smoky tasting roasted pepper. Simply remove the seeds and enjoy! If you don’t have a BBQ or gas stove, place peppers on a cookie sheet & place on oven rack positioned close to the broiler element in your oven. Broil on HIGH, while turning, to insure even charring. Continue as above. 1 large pepper yields about 1 cup roasted pepper. * This recipe is a great way to use leftover brown rice, bulgur or other cooked grain. Simply substitute 2 cups cooked grain(s) for the quinoa & 1 cup of vegetable broth. Using leftover, pre-cooked grains also shortens the prep time of this recipe! The recent media attention that global warming has received has made more people aware of the impact they have on the environment around them. Global carbon emissions are at an all-time high, and they are continuously rising. Every parent wants their child to grow up in an environmentally conscious world, and teaching them how to safely ride a bicycle is one way of instilling eco-friendliness. Riding bicycles is one of the most environmentally friendly methods of transportation in the world, and since all parents teach their children how to ride bikes anyway, it is a great way to prepare a child to reduce their own carbon footprint. Making sure they know how to ride a bike safely is the most important factor in keeping them, and the environment, safe. Children who are first learning to ride a bicycle should be trained in areas with minimal hazards. Parks, gymnasiums and playgrounds are all excellent places for learning to ride a bike. These areas will have minimal automobile traffic for a parent to have to worry about. According to the law firm of Howell & Christmas, bicycles are the second leading cause of injuries sustained due to consumer products, other than automobiles. This means that a parent can avoid these potential injuries while teaching their child in a safe area. Once an appropriate area has been chosen to teach a child how to ride a bike, a parent should ensure that the child is equipped with all proper safety equipment. Bicycle helmets, knee pads and elbow pads all do wonders in preventing serious injuries. Some parents even provide their children with bicycle gloves to prevent scrapes on the palms of their hands, should they fall. According to our Charleston personal injury lawyer a person riding a bicycle without protective gear can turn a minor accident into a trip to the emergency room. Bicycles, though safe for the environment, put people into sometimes unsafe surroundings. Bikes, by design, are meant to be ridden on streets, which mean the hazards of unsafe and negligent drivers will be an ever present danger to children riding bicycles. Because of this fact, parents should instill the idea of “safety first” in their child when teaching them to ride their bike. Kids should always know what street signs mean and to check for oncoming traffic thoroughly before going onto the road. Teaching your child to “drive defensively” by keeping an eye out and not assuming the drivers in cars are watching out for them. If an accident should occur, be sure to contact a South Carolina injury lawyer, or legal representation in your own home state, to make certain you have covered all the bases. Teaching a child to ride a bike is one of the most gratifying experiences of being a parent. It not only allows the child to learn a little self-efficiency, it also lays the groundwork for them to engage in eco-friendly transportation in the future. Bicycle safety should be the first thing a parent instills in their child when putting on or taking off the training wheels. This will make sure that a child can keep themselves safe while protecting the environment. Krista Langford is a eco-conscious mom who teaches her preschooler tricycle safety. She is a contributing writer for the Howell & Christmas attorneys. They specialize in child injury and bicycle accident law. It’s summertime, and for many families that means throwing some burgers and hot dogs on the grill for a nice outdoors evening meal. This might sound sacrilegious, but there are other things that you can grill other than beef and recycled pork parts. A juicy hamburger is great, but there are also some really healthy and equally tasty options out there for people who want to curb their indulgent eating habits. Not convinced? Consider this: there are some really good grillable foods out there, packed with nutrients and healthy goodness that you’d never find in a meat patty. Whether you’re at a barbeque at a park with some friends, or simply grilling in your backyard with those closest to you, you can feel confident cooking these foods without people asking for a burger. Let’s ease into this subject with foods that can still be considered meat. Seafood is almost always the healthier alternative to red meat, if just because of the lower calorie count. But grilled seafood boasts more than lower calories: most fish is rich in omega 3 fatty acids, vitamins B and D, and minerals such as potassium and calcium. In case you didn’t know, omega 3 fatty acids are critical molecules that help your body combat heart disease, improve brain function, and assist in cell production. This is important stuff! The possibilities for grilled seafood are limitless. You can grill a mild fish like a tilapia and use it as a vehicle for some smoky fish tacos with a homemade or store-bought salsa; you could make some delicious shrimp kabobs with a marinade that packs a nice citrus bite; you could even grill scallops and oysters for a more exotic meal (it’s much better than it sounds). Fish like salmon and tuna cook like steak, with thick, juicy, and flavorful meat that will make you forget all about the standard burger. Don’t forget your veggies! There’s something about the char that veggies get from grilling that make them indescribably tasty. These aren’t your grandmother’s steamed veggies that she tried to get you to eat when you were a kid: we’re talking about bold and robust flavors that will have you coming back for seconds and thirds. And unlike eating several burgers in a row, you won’t feel bad about loading up on grilled veggies! You can grill just about any veggie to success, but let me offer a few classic methods. Onions always taste great grilled, preferably when they’re cut into thick rounds and drizzled with a little olive oil, salt, and pepper prior to grilling. You can apply the same method to zucchini, asparagus, eggplant, artichokes (yes, really), and even carrots. The bounty of vitamins, minerals, and fiber in each bite should be enough reason for you to try these delicious grilled delights. Yes, you can (and should) grill fruit. You might consider this the strangest healthy grilling option available, but the fact of the matter is that most fruits taste great after being grilled. The smokiness and high temperature from the grill help take away some of the sweetness of fruit, transforming it into a sweet and savory taste sensation. Great fruits for grilling include pineapples, peaches, mangoes, and starfruit, all of which come loaded with vitamins and minerals necessary for a healthy diet. Be sure to drizzle some balsamic vinegar on grilled fruit right after you take it off the heat, just to give it a little complexity in flavor. Of course grilled fruit tastes great as is, and it’s definitely better for you than a side of chips! 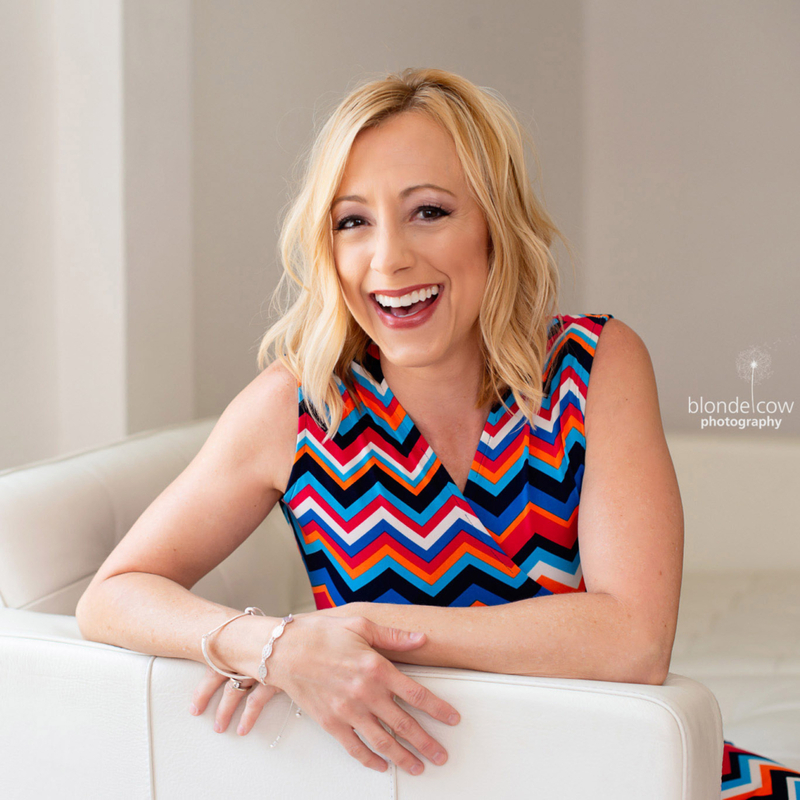 Lauren Bailey is a freelance blogger who loves writing about education, new technology, lifestyle and health. 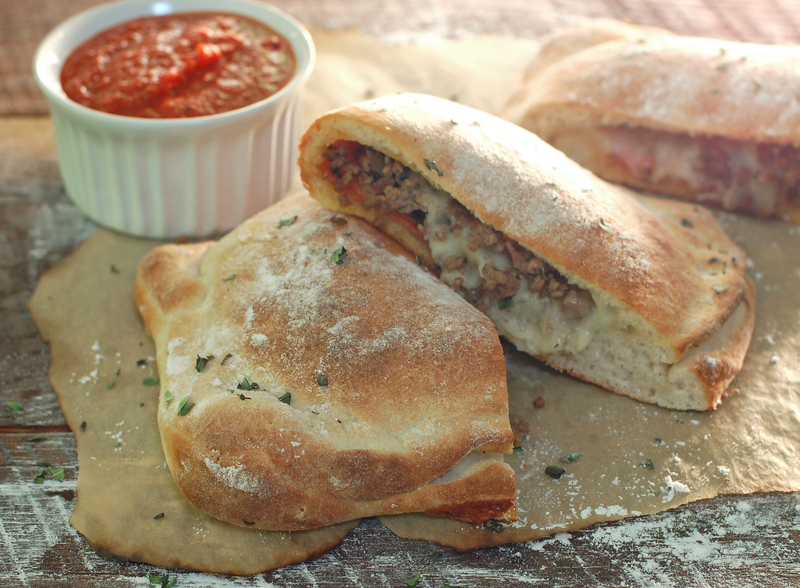 Calzones prove to be simple to make with this lighter, lower in fat recipe using Laura’s Lean Beef, which raises cattle without antibiotics or hormones on a vegetarian diet. 1. Cook beef and next 3 ingredients in a large skillet, stirring until beef crumbles and is no longer pink. Add Italian seasoning, salt and pepper; drain and remove from heat. 2. Divide dough evenly into 4 pieces; pat each dough piece into one square. Spoon beef mixture evenly onto each square, leaving a 1/2-inch border; top evenly with cheese. 3. Fold dough over filling until edges almost meet. Bring bottom edge over top edge; crimp edges of dough with fingers to form a rim. Place on a lightly greased baking sheet coated with cooking spray. 4. Bake at 450F for 10 to 12 minutes or until lightly browned. Serve topped with marinara sauce. Cooking Tip: Lightly brush calzones with olive oil before placing in the oven for a nice golden color and crisp texture. These calzones keep well in the fridge for leftovers, too. Many parents are looking for ways to cut costs these days, especially when it comes to the many expensive items required to care for infants. Between diapers, clothing, and baby food, you’re likely spending a lot of money each month on the smallest member of your family. And if you’re also interested in eco-friendly living you could be shelling out even more for organic fabric and foods, as well as cleaning services and chemical-free detergents for your sustainable items (cloth diapers and organic clothing, mainly). 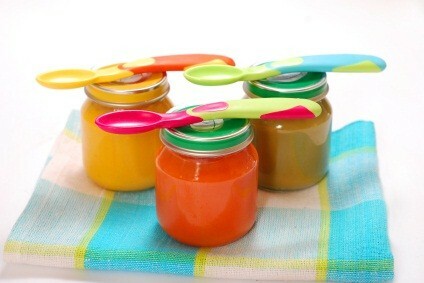 But there are ways to save and still give your baby the toxin-free diet that will keep him healthy and happy, and it starts with making your own organic baby food. The transition from breast milk to solid food can take a while to accomplish, but in the meantime you’ll want your baby’s digestive system to acclimate to the composition of the solid foods he will soon be eating. So baby food is a necessary step for most infants (although remarkably, some seem to go straight from milk or formula to whole foods). However, the products you buy at the store are fairly expensive to begin with, electing to buy organics will cost you even more, and often, you can only rely on general recycling options for the leftover jars. So it is both greener and more cost effective to make your own. You may want to start by talking to your pediatrician about nutritional concerns in order to ensure that you’re feeding your baby the foods that will give him all the nutrients he needs. But you can also get a good idea by simply looking at the jars already on store shelves for reference. You’ll find that there are options for fruits, vegetables, and meats in the baby food arena, so these are probably the items that you’ll want to make. From there it’s easy enough to get started, although you’ll need some equipment, including a food processor and several reusable mason/jam jars. As for making the food, you pretty much prepare it just as you would for yourself. Meats should be cooked, vegetables steamed, and then pretty much everything gets pureed in the food processor. You can easily prepare all the food you’ll need for the week at once to save some time and store it in mason jars in the fridge. Of course, you’ll want to keep it pretty bland for your baby’s delicate digestive system – it’s not like you’ll cook spiced meats or Shahiya recipes. So keep it simple and skip adding spices or preservatives like sodium and sugar that can counteract the healthy benefits of your baby food. The only other thing to think about is where you’ll get your organic items, and you have a couple of options here. Although it is probably easiest to simply pick them up at your local market, you might not find the variety you crave and you’ll likely end up paying more. So think about frequenting a local farmers market, looking for co-ops in your area that can offer you organic meats and produce, or even growing your own organic garden at home to save a ton of money. And consider buying in bulk during summer months and then canning items for use throughout the winter. These lightly sweet and fluffy pancakes are a snap to make and sure to please the whole family. The oatmeal gives them a pleasant texture often missing from other gluten-free pancakes. Mix dry ingredients together in a bowl and set aside. Beat together eggs, milk, and vanilla with a mixer. Slowly add melted butter. Gradually add in dry ingredients and mix until just incorporated. Stir in water to thin mixture. In large frying pan, melt a pat of butter or margarine on medium-high heat. Reduce heat to medium-low once pan is hot. Use about ¼ cup of batter per pancake. Turn pancakes when edges begin to look golden brown. Serve hot with warm maple syrup. Note: Extra batter will keep in refrigerator in airtight container for up to 3 days. ◦Add fresh berries or sliced bananas to pancakes before flipping. ◦Add chocolate chips or toasted nuts to batter. ◦Add 2 teaspoons fresh lemon zest to batter. Know when to ease up, especially if you’re traveling this summer to climates you’re unaccustomed to typically. If you’re used to working out in cooler temperatures, accept the fact that you probably won’t be able to exercise at the intensity you normally do. If you normally run, walk or jog. If you’re a brisk walker, slow it down. As your body adapts to the heat, gradually increase the pace and length of your workout. If you have a medical condition and/or take prescription medications, do ask your physician if you need to take any additional precautions. Avoid the hottest part of the day. Rise early to catch the cool of the morning, or go out at sunset or later. In the heat of midday (typically between 10 am and 4 pm) take cover under shade. Jump in a pool. Sign up for an aqua-aerobics class. And carry a fan/spray bottle for skin surface cooling. Wear light-colored, lightweight clothing. Dark colors absorb the heat, which can make you feel as if you’re wrapped in a warm blanket. Heavyweight, tight-fitting clothing will also heat you up. Keep it loose. Keep it light. More air will be able to circulate over your skin, keeping you cool. Be sure to apply sunblock – UVA/UVB preferably with titanium or zinc dioxide, or at least avobenzene. Reapply at two-hour intervals, even if the labels have sweat proof and water proof claims that are hours longer. Many of these “long-lasting” claims are currently under investigation. Sunburn increases the risk of premature skin aging, and increases your risk of skin cancer. Another good way to decrease sun exposure is to wear wide-brimmed hats. 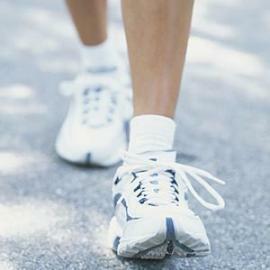 Exercising in hot weather increases our body temperature. Sure, our bodies have built-in cooling systems that help us adjust to heat. That’s why we perspire. But this natural cooling system can fail if we’re exposed to soaring temperatures for too long. The result may be heat exhaustion – that awful fatigue that makes you feel as if one more step could be your last – and even heat stroke. If the humidity is also way up, you’re in double trouble because your sweat “sticks” to your skin; it doesn’t evaporate as readily, which can send body temperature even higher. To keep cool, make sure first of all that you’re drinking plenty of water. Since our bodies are about 50 to 60% water, it is vital to maintain this amount. We tend to lose about 2 to 3% during typical exercise and activity, especially on hot days. Because the Pritikin Eating Plan, full of fruits and vegetables, is so rich in water, you do not need to drink water before your workout, but while you’re exercising, drink 8 to 10 ounces of water every 20 minutes. After exercise, drink more – at minimum, another 8 ounces. Another great way to help re-hydrate during a break in physical activity is to eat a piece of fruit, such as an apple or orange, or even carrots or celery sticks. The fruit or veggies will also help replace valuable electrolyte loss. A good way to know that you’re hydrating properly is by checking the color of your urine. If it’s pale yellow (think lemonade), you’re well hydrated. If it’s darker (heading toward the color of apple juice), drink more. But do be aware that some medications and supplements alter the color of urine, so this gauge, while good for many, does not work for everyone. To be safe, do drink the recommended 8 to 10 ounces of water for every 20 minutes of activity. Be careful not to drink too much water, called overhydration. It can lead to a problem called hyponatremia (low blood sodium). The Pritikin Eating Plan provides enough sodium for active individuals and also provides at least half of the water needed. Bottom line: Drink during and after exercise and other physical activities. At other times of the day, drink when thirsty. Sports drinks are not worth the caloric weight. The Pritikin Eating Plan maintains high carbohydrate stores (glycogen). There is no need for additional supplementation. Sport drinks should only be considered if you’re of ideal body weight and exercising for long durations at high intensities. Even then, it’s a good idea to dilute sport drinks to avoid excessive calorie consumption. Eating fruits and vegetables during exercise provides ample electrolytes for the body, even further decreasing the need for high-calorie sport drinks. This article was written by Danine Fruge, M.D. Dr. Fruge is the Associate Medical Director at Pritikin Longevity Center & Spa in Miami, FL.